* price per person. No single supplement payable on this tour! Price does not include flights. Small group travel: maximum group size is 12 guests. Some walking involved – you should be able to walk a kilometre without difficulty. This tiny island has been the theatre of some of the most pivotal battles in Europe. Had the outcomes of the Siege of Malta by Sultan Suleyman in 1565 and the bombardment of Malta by the Germans during World War two been different, it could well be argued that the course of history of Western Europe would have been vastly different. In addition to being the scene of decisive moments in history, it was also the home of the Knights of St John for hundreds of years. Their presence on the island has endowed it with some stunning architecture and some equally astonishing artefacts. Whilst these aspects will immediately appeal to anyone with even a cursive interest in military history, we should not overlook the intense fascination of Malta’s pre-history. Unique in southern Europe, Malta is the site of some of the most spectacular prehistoric temples. In addition, there are also some amazing Roman catacombs. Finally, of course, we must not forget the Arab influence on history of the island. From the language, to the food, the culture and the architecture, this is one of the most appealing aspects of any visitor’s experience of Malta. We travel in a small group (maximum twelve people) which we believe is the ideal way to see the island. Assuming we all arrive around lunchtime, we will spend the afternoon with an orientation tour of Valletta. Without delving too far into the history just yet, we start off just be getting a feel for the town. There will be a couple of free hours to relax and unwind before dinner. Evening meal and overnight in Valletta. On our second day, we really start by exploring the influence of the Knights of St John on Valletta. In the morning, we walk through the Upper Barrakka Gardens and admire some of the astonishing defensive walls of Valletta, before visiting St John’s co-cathedral. In the oratory we stop to admire Caravaggio’s Beheading of St. John before moving on to the Grand Master’s Palace. 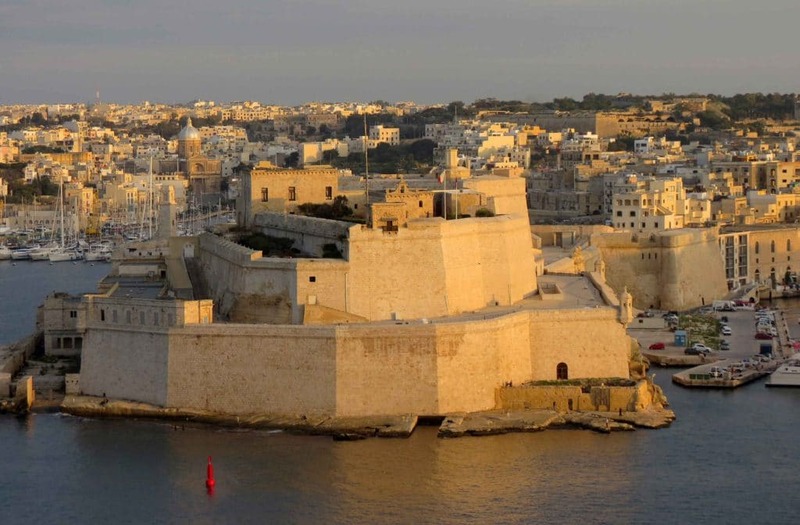 In the afternoon, you can make use of the Malta Heritage pass to visit sites of particular interest to yourself – perhpas tthe National Museum of Archaeology, or the Palaca Armoury, or the National War Museum at Fort St. Elmo. Or maybe just to take a walk along Strait Street – perhaps the most charming of all Valletta’s streets. This morning we take the boat across the harbour to Vittoriosa where we have a small walking tour taking in the Inquisitor’s Place and the Fort Sant’Angelo. Afterwards, we take the minibus to visit one of Malta’s foremost wineries where we enjoy a delicious lunch to the accompaniment of Maltese wines. After lunch, we return to Valletta where there will be more opportunity to explore the city at will. Today we travel to Gozo (40 minutes drive + 30 minutes ferry) where we first go to visit the splendid Cittadella of Victoria. After a fine Maltese lunch we pay a visit to the Ġgantija temples, before tranferring to our hotel. Evening meal at the hotel and overnight in Gozo. 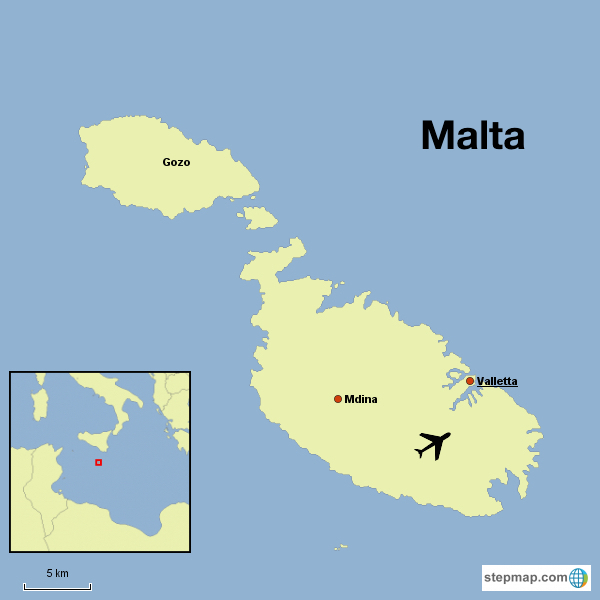 Today we return to the main island of Malta and visit two towns of immense interest: Mdina and Rabat. On the way we stop off at the church in Mosta. Rabat was once a suburb of the old capital Mdina and is the home of the famous catacombs of St. Paul. They were created during Roman times as it was considered unhygienic to bury the dead in the centre of Mdina. Tunnelled out underneath the surface in the soft limestone rock, in later times (most recently during the second World War) they were used as shelters and hiding places during times of persecution. These are quite unlike anything else in Europe and more than justify a day exploring these splendid sites. In the afternoon we visit the Mnajdra Temples, the Hagar Aim Temples and the Tarxien Temples. For lunch we make a stop at the beautifully picturesque fishing village of Marsaxlokk. Transport provided for the short journey back to the airport.